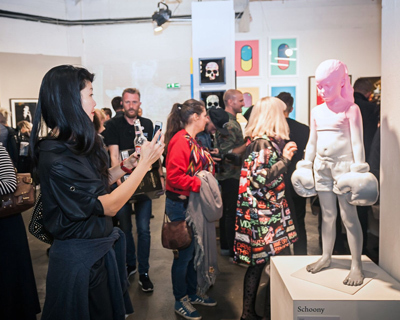 The Conversion Group (TCG) announced its acquisition of the London based Moniker Art Fair. Following the group’s most recent partnership with The Art Conference (TAC), founded by Tina Ziegler, it sees the two working together once more to develop The Moniker Art Fair as an The Conversion Group brand. Currently in its seventh year, The Moniker Art Fair attracts some of the most talked about artists, galleries and collectors from the finer side of the street art movement and its related subcultures. As it has done over the years, the art fair shares a venue with London’s leading artist-led event, The Other Art Fair. Attracting 14,000-plus visitors to the capital’s Old Truman Brewery in the East End, the joint event forms one of the major satellite events of London’s Art Week.